They look like perfectly aligned emergency housing units. But of course they're not: the 18 concrete structures in the ITER cryoplant are massive pads that will each support one 25-tonne helium compressor skid. What appears as "windows" in the concrete blocks are but passages for the dense interconnecting piping. Work underway in the cryoplant to prepare for the arrival of 18 helium screw compressor skids. Each one of the 25-tonne units will be installed on top of its own four-metre-high concrete pad. The concrete blocks are decoupled from the floor in order to prevent vibrations from being transmitted to other systems. 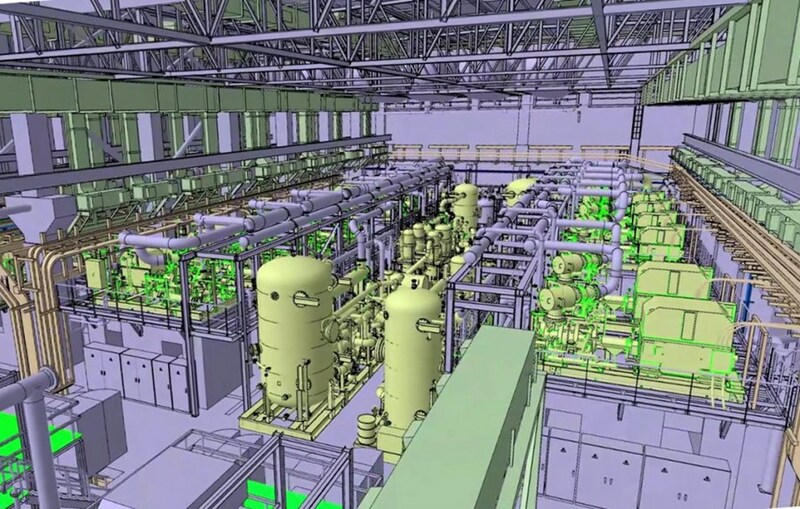 Eighteen helium compressor units will be grouped in the liquid helium plant and operated in parallel to provide the necessary gas flow for the liquid helium cooling needs of the Tokamak. The Compressor Building of the cryoplant will also house other helium compressors as well as compressors for the liquid nitrogen plant. The helium compression system of the liquid helium plant involves the use of oil-flooded screw compressors and a large amount of oil. The fact that the compressors are installed at a height of approximately four metres allows the oil to regain the oil separation system through gravity. Oil acts as a lubricant in the compressor system, and also takes away some of the heat from the cycle. Following compression, the helium (all oil removed) flows to the liquid helium cold boxes in the adjacent building. In general, the heat generated by the compressors of the liquid helium plant will be evacuated by the flow of a large volume of cooling water—equivalent to 2,500 m3/hour. 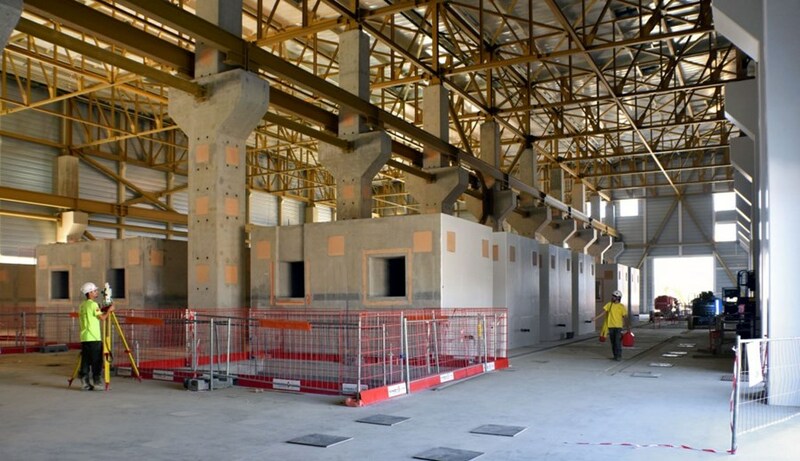 A part of the thermal energy will be recovered (approximately 12 MW) and used in the heating of other ITER buildings. The Compressor Building occupies more than half of the space (3,400 m²) available in the cryoplant.